Take me down to Vigilante City! Needless to say I am quite excited about the Survive This!! Vigilante City Kickstarter. 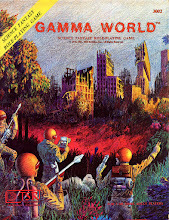 I do believe this is the Supers RPG game I have been looking for, for quite some time. 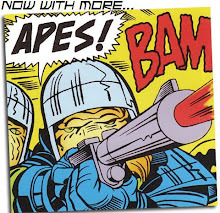 I played/GM'd a ton of Heroes Unlimited/TMNT/Beyond the Supernatural back in the 90's, some of my old gaming buddies still reminisce about one particular epic campaign (The heroes even battled a powerful demon at the Smithsonian, with a cameo by D.C. Comics Dr. Fate!) but the Palladium System while fun, no longer meets my gaming needs. 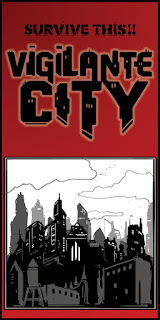 Vigilante City looks to have the modular aspect I enjoyed about the plethora of Palladium products, while still keeping the mechanics simple and very OSR based. Right up my alley! The Kickstarter has already exceeding it's goal and reached three stretch goals! Hope everyone has a great day and try to stay cool, things are hot our there in Vigilante City! Bloat Games will soon be Kickstarting (June 28th) SURVIVE THIS!! Vigilante City! Needless to say I am very excited about this product, it is OSR, has rules for an assortment of classes (including Mutants and Anthropomorphics!! ), a nice variety of powers, and art by RUNEHAMMER!! 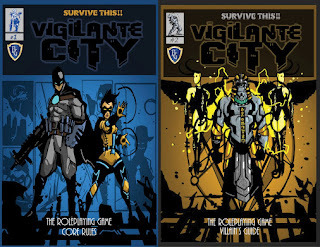 "Vigilante City is heavily inspired by Batman: The Animated Series. Along with the X-men, Spider-man and TMNT cartoons of the 1990s." 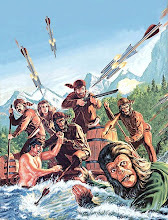 I mentioned this game to a few of my players (some of whom have been traditionally Die-Hard Fantasy 5E players) and they all said,"So you are going to run this for us right?!" I can't wait to learn more about this game! Kicked off a new D&D Campaign! 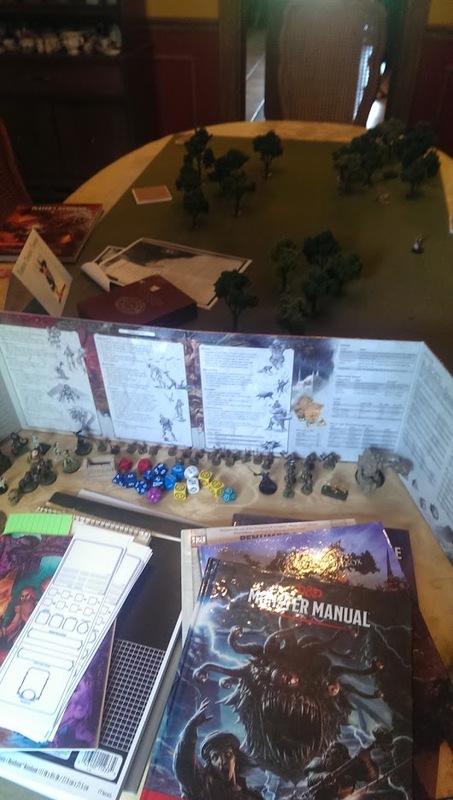 Yesterday my gaming group kicked off a new 5E Campaign. I tend to be more of an OSR kind of DM but my group really wanted to play more 5E (one of the players has been running 5E for us, but needed a break), so as a compromise I am using the Critical Hit and Fumble charts from DCC in our new 5E Campaign (they worked great by the way, Fran got her sense of smell back...eventually)! We played for about 4 hours and it was loads of fun! 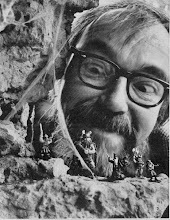 I am using a mixture of my own content, some goodies from my OSR friends (Christian Walker and soon Matt "they are so screwed" Jackson! ), and even an old 3.0 Module! The party were from the Eastern Territory, all hailing from different parts of the Westfall Kingdoms (more commonly just called Westfall). Seeking work/opportunities/adventure in Deeptown. Deeptown is a large town/small city nestled in a deep mountain valley (called The Deeps). An ancient trade road winds its way through the mountains with Deeptown right at the mid-way point of the road. Several kingdoms, countries and regions surround this mountain range, so thanks to the old trade road, Deeptown is a hotbed of activity (some of it even legal). Bandits regularly prey on the trade caravans passing through, and many factions, groups and organizations conduct business in Deeptown, so there is plenty of work and mischief for those interested. It was great to be behind the DM Screen again. I do use a DM screen, mostly to hide my minis (I tend to run miniature heavy games) and maps, books, etc but I do most of my rolls out in the open. I'll try to post some updates as the Campaign progresses.